Eleven-time Gold Glove Award winner Keith Hernandez committed a costly error while playing the field Friday night, and now a Florida man may have to change his phone number. Hernandez, a Mets announcer and Twitter darling, was using his preferred social medium to organize a meet-up with a Mets fan/yoga instructor from Long Island on the Mets off-day. After a bit of back-and-forth with the woman (visible to all 91,785 of his Twitter followers and anyone else with WiFi) Keith decided to switch from public tweets to private texts. But the former All Star first baseman dropped the ball when he tweeted a cell phone number that isn’t actually his. The number belongs to a man in Florida named Michael W. (The Eagle is withholding Michael’s last name. He’s been through enough). The next morning, Michael W. woke up to more than 1,200 calls and texts from fans and gawkers hoping to connect with the 1979 National League MVP and one-time “Seinfeld” star. “I’ve been absolutely inundated by e-messages and phone calls,” he told the Eagle at about 1 p.m. Sunday. 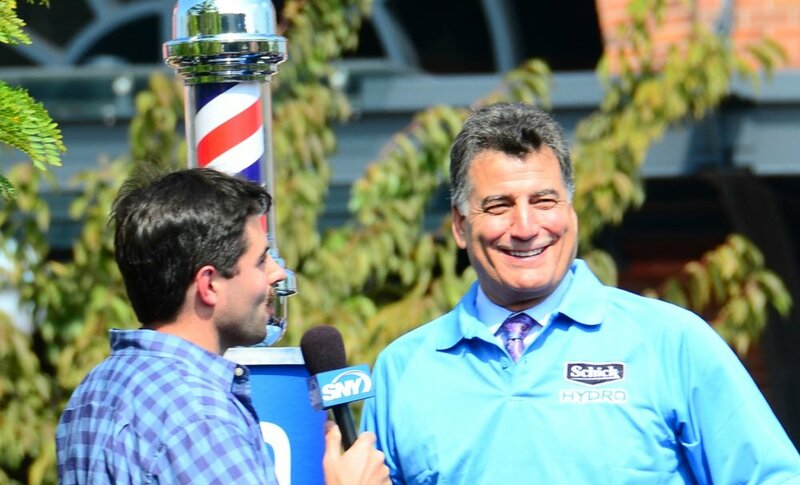 He was still confused about how so many people got his number and about who Keith Hernandez was. The conversation that ruined Michael’s weekend began when a woman named Suzin responded to one of Hernandez’s many tweets on Friday evening. Suzin told Hernandez she wanted to “get [him] on a yoga mat,” presumably to give a lesson to a high-profile potential client. “On the yoga mat with you? That’s intriguing Suzin,” Hernandez responded, before inviting her to visit him in the Hamptons. She agreed, but Hernandez was skeptical. “I thought you were married,” he asked. “I am. My husband is [in] love with you too,” she replied. After a few more tweets about previously meeting at a book signing, Keith went into privacy mode. At least one Twitter user screen-grabbed the tweet thread and shared it. As of 6:40 p.m. Sunday, his tweet had 4,300 likes. (Hernandez has deleted his side of the conversation. Suzin’s tweets live on). The Eagle told Michael the story of the Twitter come-on gone wrong, hoping he’d find some humor in the day his cell phone exploded. Keith and the Mets did not immediately respond to my request for comment.